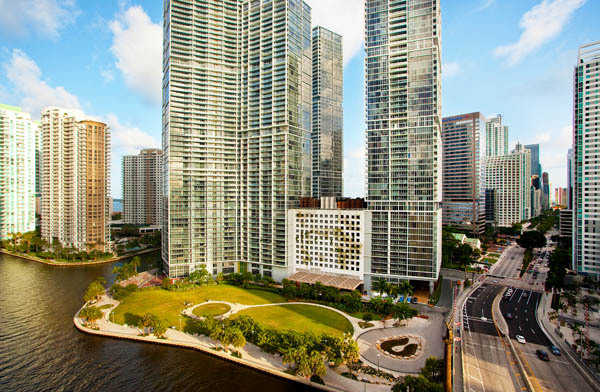 In the east of downtown Miami in the heart of the modern Brickell district, you will find the W Miami which leaves nothing to be desired. If you wish for perfection and modernism you cannot miss this paradise. 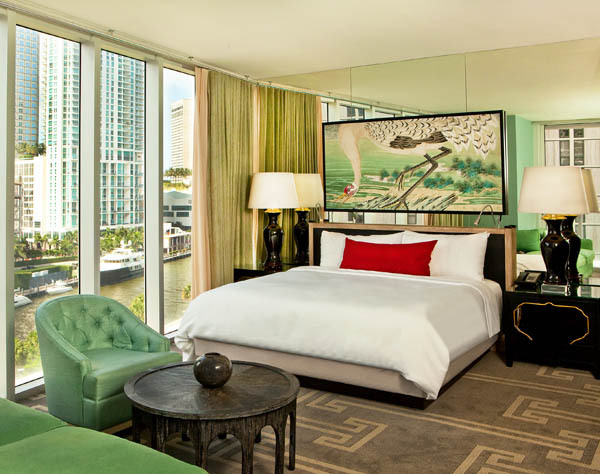 Its spacious and light-flooded rooms give a wonderful view of the Miami River. 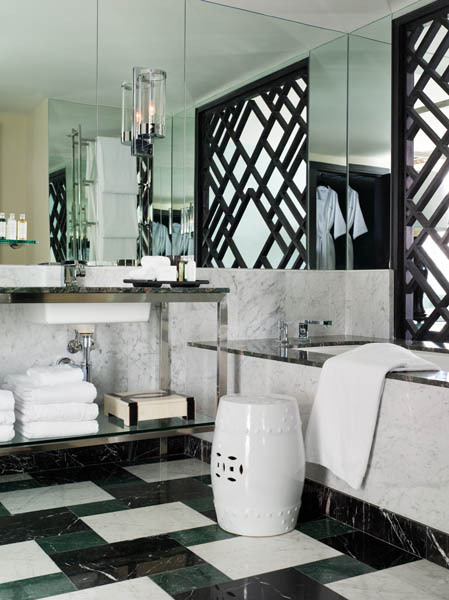 The furniture mirrors much passion for detail, whereby they capture the unique flair of Miami and mixed with an Oriental flair. The green and blue pastel shades create a calming atmosphere, inviting you to forget your surroundings and indulge oneself in this heaven. Whether you wish to isolate yourself or stay in contact with the outside world is up to you. The whole building is equipped with the latest technology to keep you connected while you disconnect. And, just in case that you forgot to bring your laptop, you can use the computer workstations in the lobby. 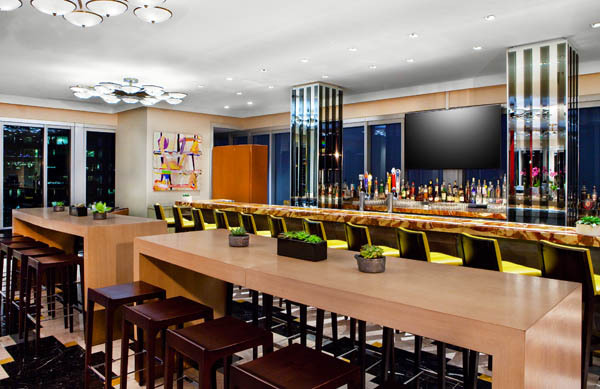 Though Miami is known for its dizzying array of world class restaurants and international cuisines, the Living Room Bar along with the fresh flavors from 15th and Vine are plenty of reasons to dine and unwind in the hotel. The 15th & Vine Kitchen and Bar offers refined and creative gourmet dishes in a relaxed setting and are also available 24/7 through room service. Savor a refreshing cocktail from their bespoke menu paired with eclectic bites in the highly stylized Living Room Bar. The hotel’s luxurious amenities will have you pampered from head to toe. Relax and rejuvenate in the zen like Iconbrickell Spa or take a swim in their expansive pool. Keep fit in their fully equipped fitness center within the building, and catch the latest Hollywood blockbuster in their cinema. The immediate vicinity is a shoppers paradise with small independent boutiques mixed with bold faced luxury brands. Explore the neighborhood’s vibrant nightlife with its colorful bars and restaurants that call Brickell City home. As you can see, you will not be able to find a more satisfying accommodation for your holidays than W Miami. All worries are taken care of by their Whatever/Whenever® Service, so that you can enjoy your stay to the fullest. The only trouble is that you will not want to leave this world of complete bliss and delight. Book now and save up to 50% when you book a suite at the W Miami. Booking & travel window: Now till December 31, 2017. Rate is fully prepaid and non-refundable. Black-out dates applied. Promotion is subject to change.